Serac Solutions is an IT company that designs custom software for pharmaceutical companies. 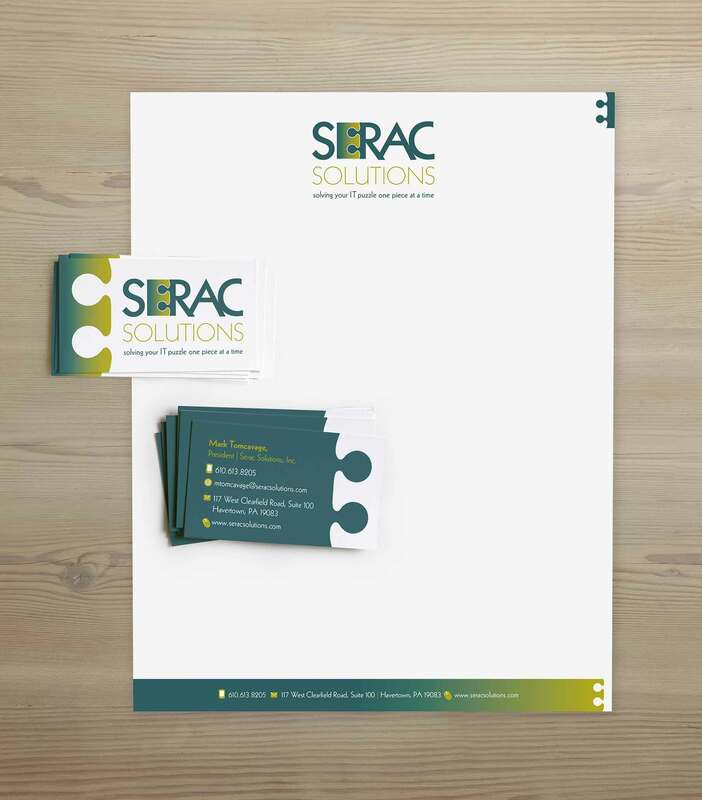 They were looking to update their brand with a polished, clean and modern feel that would set them apart. Since their focus is on solving problems, SSC considered the concept of the missing puzzle piece…the one the completes the challenge and lets you see the full picture and then designed custom lettering for the the name that included the “E” as a puzzle piece. 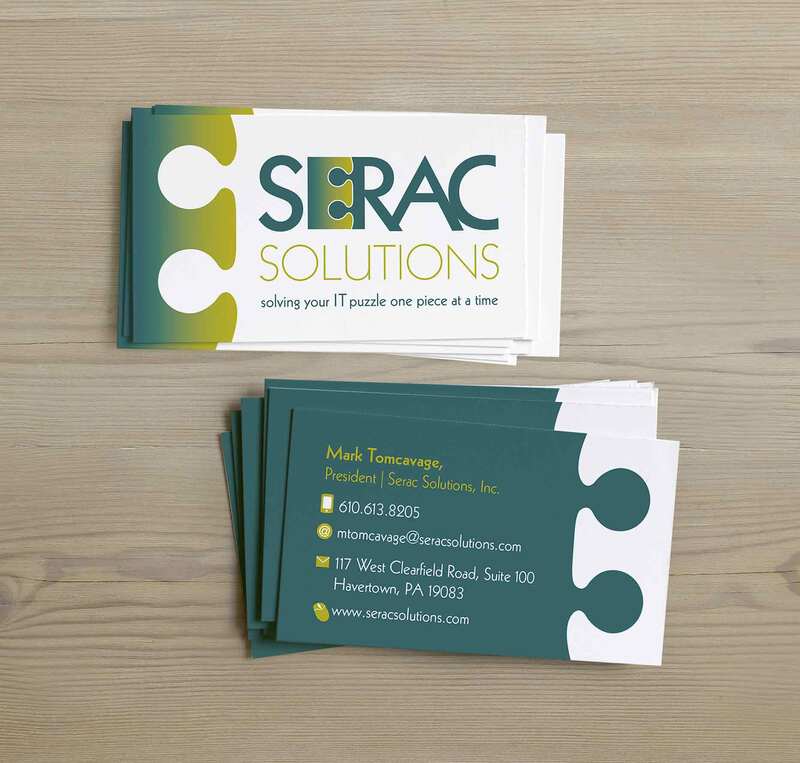 The business card and letterhead further play on the theme, moving puzzle elements around symbolizing that they are the perfect fit for their client’s IT needs.